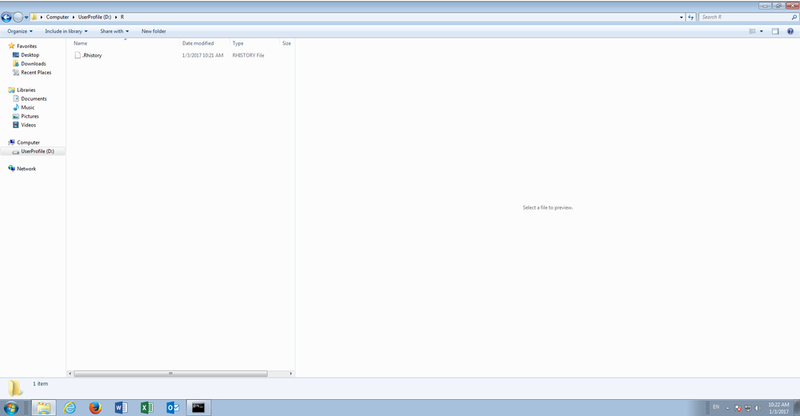 A working directory is where R will look for files during a session. The files may be the R session, or in subsequent Blog entries it will be data to be imported and data saved as the result of processing. In Blog entry Issue commands to the R Console, it was observed that there was a failure when saving the R history, owing to the working directory not being set (rather set incorrectly). It follows that the working directory need be set. 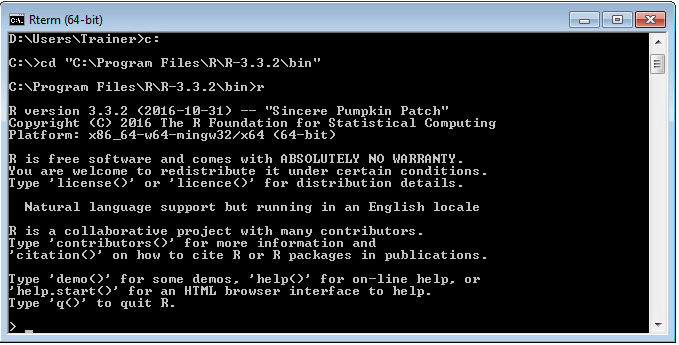 Start by executing Blog Entry Navigate to and launch the R command line to load the R console. 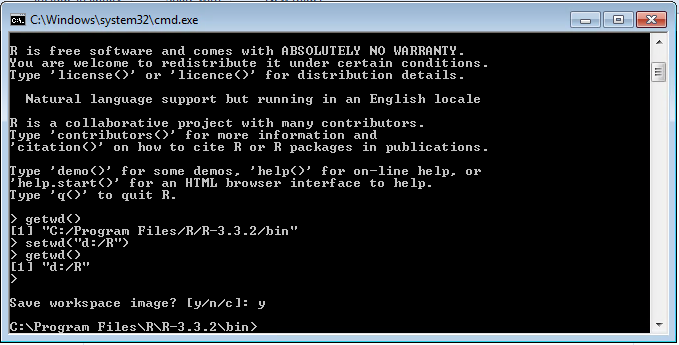 The current working directory, which is the directory containing the executable, is returned. Saving files to the same directory as the R software is not desirable, quite beyond it causing errors, and as such, this should be changed to an appropriate directory. Create a directory to be used throughput these Blog entries. 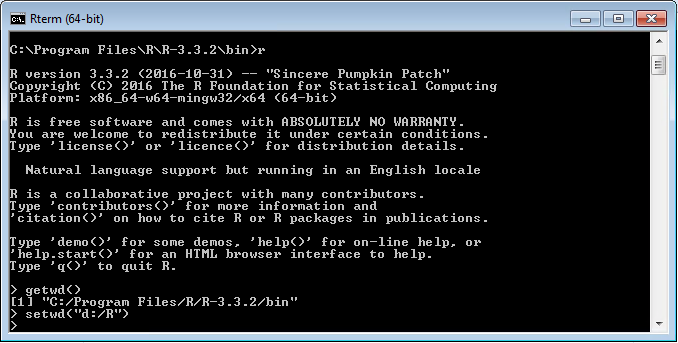 In this case the files will be saved to the d:\ in a directory called R.
The working directory is now set to d:\r.